Inua Ellams, writer of world-wide hit Barber Shop Chronicles, returns with his new play Half God of Rainfall, a contemporary saga that weaves poetry with storytelling in a majestic, chaotic journey across mythologies that transports us from a tiny village in Southern Nigeria to the further reaches of our galaxy and beyond. Modupe (Rakie Ayola), cursed with extraordinary beauty, draws the unwanted attention of the Greek and Yoruba gods. Her son Demi (Kwami Odoom), half Nigerian-mortal, half Olympian child, is bestowed with powers; one of them manifests in the game of basketball. When he unknowingly sparks Zeus’ wrath, Modupe tries to protect him from the capricious whims of the gods. 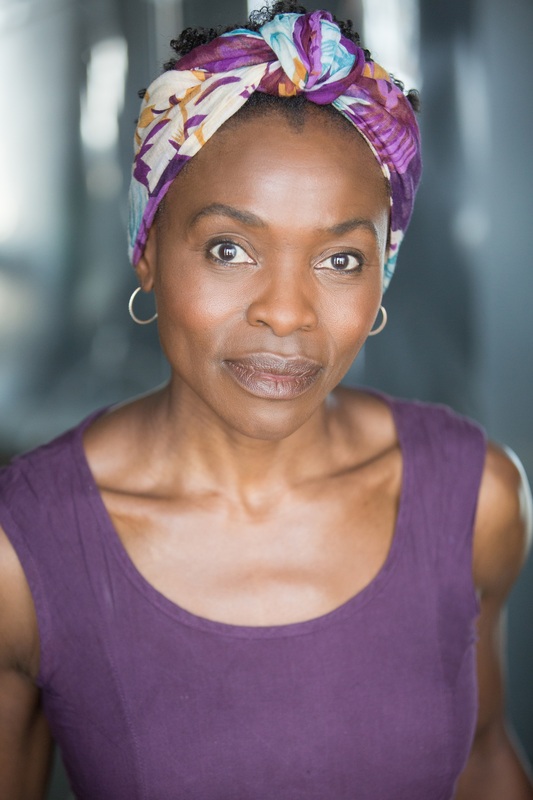 Alt A got talking to lead actress Rakie Ayola about her role, female voices and starting out. AA: Tell us about the character you play? RAKIE: Amongst others I play Modupé, (Mother of Half God Demi, lone parent, abused girl) and Osun, Orisha River Goddess (Modupé’s guardian). AA: What do you like about the character and what do you dislike? RAKIE: I love that Modupé finds a strength and spirit she thought Zeus had robbed from her. I love Ośun’s compassion and kindness towards those less fortunate than herself. AA: When preparing for the role what were/are some of the challenges you might face? RAKIE: The biggest challenge has been learning it all. AA: When you read The Half God of Rainfall script, what did you like about it? RAKIE: I liked the odd mash up of worlds, the incredible poetry, the 12 syllables on every line, the scope, the challenge of painting pictures with Inua’s words. AA: What are the themes in the story that you deem important? RAKIE: Themes the play deals with are love, loss, friendship, fame, loneliness, abusive power, the effects of abusive, fame, revenge and major league basketball. AA: For anyone who wants to see the play what is the story about? RAKIE: The play is about Nigerian half God Demi, his mortal Mother Modupé and how their lives are affected by the Nigerian-Orisha Gods, the Greek-Olympian Gods and Demi’s extraordinary talent on a basketball court. AA: What was your first leap into acting and can you remember what attracted you to this profession? Did you go down the conventional route of drama school? RAKIE: When I was around 9 years old I saw Barbra Streisand in Hello Dolly on television. I touched the screen and said ‘I want to do what that lady’s doing. I want to wear a big hat and sing and dance in the middle of the street and it be ok.’ I’ve never stopped wanting to do that. In the year after that I joined every school play and youth theatre that would have me including The National Youth Theatre of Wales. I then did a 3 year Acting Diploma at The Royal Welsh College of Music and Drama. AA: There is a huge shift in the creative industries toward female voices recently, for example a production of Richard II with a cast wholly consisting of women of colour, does that make you optimistic about what is to come next? RAKIE: I’m very optimistic about what’s to come. So many excellent artistic friends of mine are being given the opportunity to show the skill and talent they’ve always possessed and to show it in major productions on stage and screen. Being first is great, but being part of a decades old tradition that has deep roots and lasting foundations is much, much, much better. I’m optimistic we’ve realised that and go forward as a strong, unbroken chain of artistic, creative talent. AA: What advice would you give to the Rakie who was just starting out from what you have learned along the way? At the Birmingham Repertory Theatre – 16 – 20 April.